Summary: Sadness, portrayed here as a large green blobby creature, can arrive unexpectedly and follow you around. You might be tempted to try to hide it, but it’s better to give it a name and sit with it. Find activities that you both like to do, like drawing or listening to music. Take it for a walk and let it know it’s welcome. One morning you may wake up to find that Sadness has gone, and it’s a new day. 32 pages; ages 3-8. 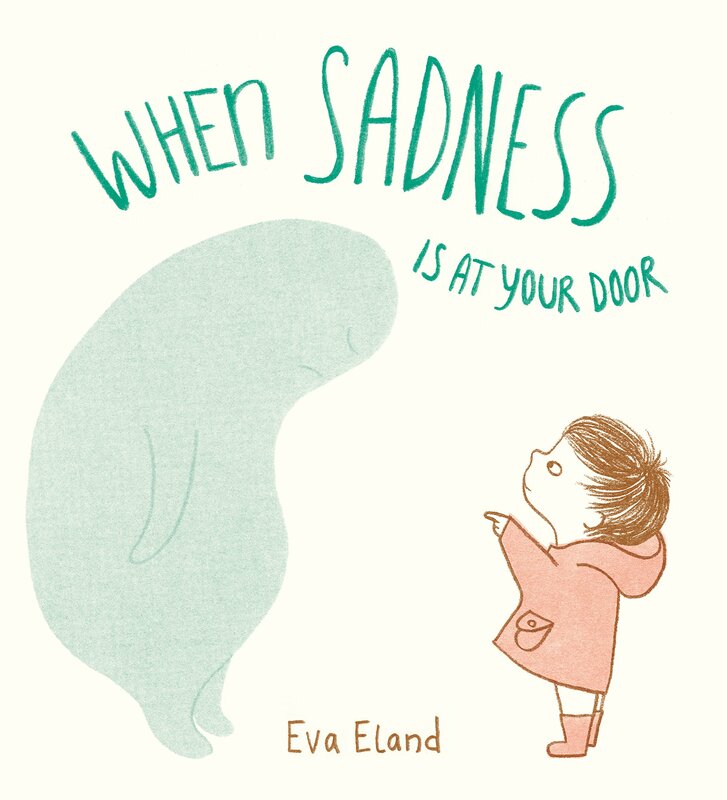 Pros: This simple, concrete way of looking at sadness would provide excellent bibliotherapy for kids (or teens or adults) dealing with grief or depression. 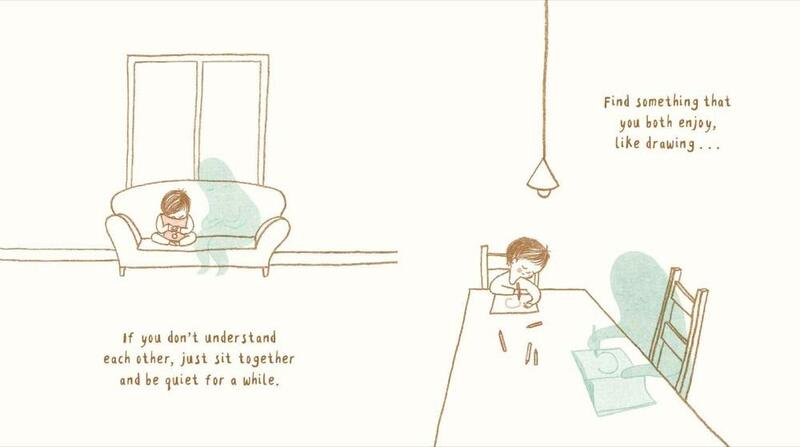 The acceptance of sadness and hopeful ending makes it a peaceful, reassuring book. Cons: The story may seem a little oversimplified to those dealing with complicated emotions.